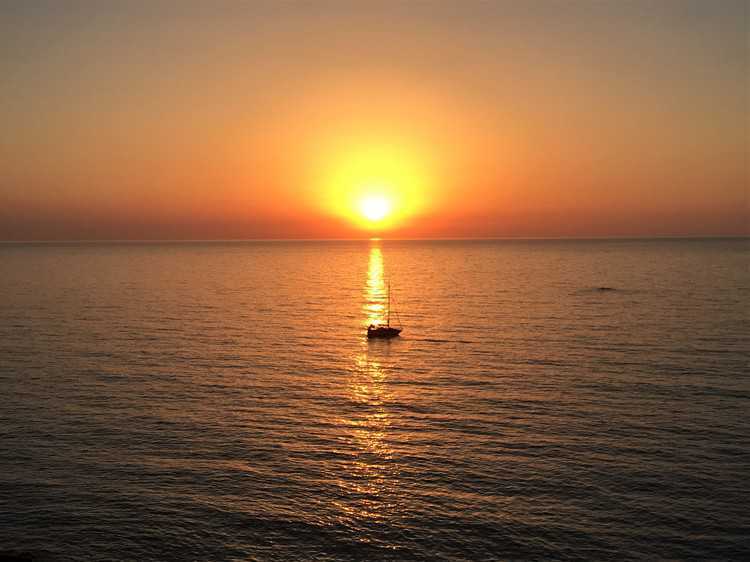 Sicily or Sicilia bedda as the locals refer to it, is the largest island in the Mediterranean Sea. 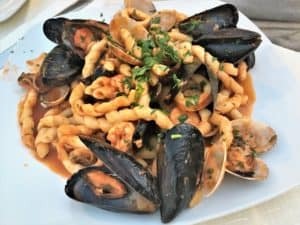 What comes to mind when I think of Sicily? 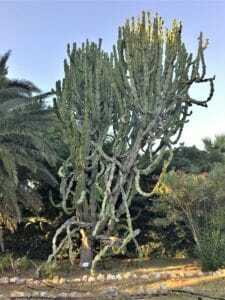 Rugged mountainous landscapes; small medieval towns perched high on hill tops which slope toward the sea; crystal clear blue water and pebble covered beaches; rich, lush vegetation with palm trees and endless prickly pear cactuses. Then, of course, the food! 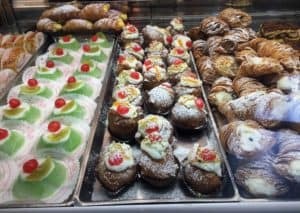 Countless eggplant dishes; everything you can possibly imagine made with pistachios grown in Bronte, at the foot of Mount Etna; where granitas rule supreme over gelato; cannoli and my favorite brioche for breakfast each morning. All of this and more as this is the land of my ancestors. As I touch down in Palermo, I am surrounded by people speaking the dialect which is my mother tongue and I immediately feel at home. Sicilians are friendly, hospitable and generous. I am told by the locals that I look as though I am from there and once again, I feel at home. 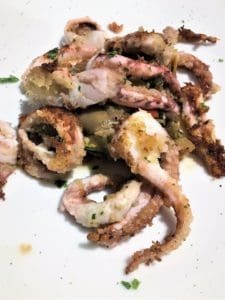 This was my fourth trip to Sicily but the first time that I did not visit mainland Italy. Instead, we decided to focus on this island which I thought we would see in three weeks. Little did I know how impossible that would be! 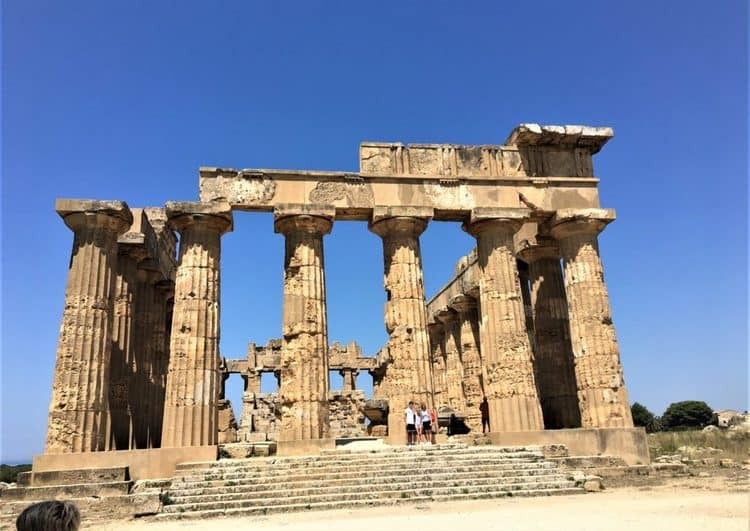 We arrived in Sicily via a connecting flight to Palermo where we picked up our rental car for the next three weeks. 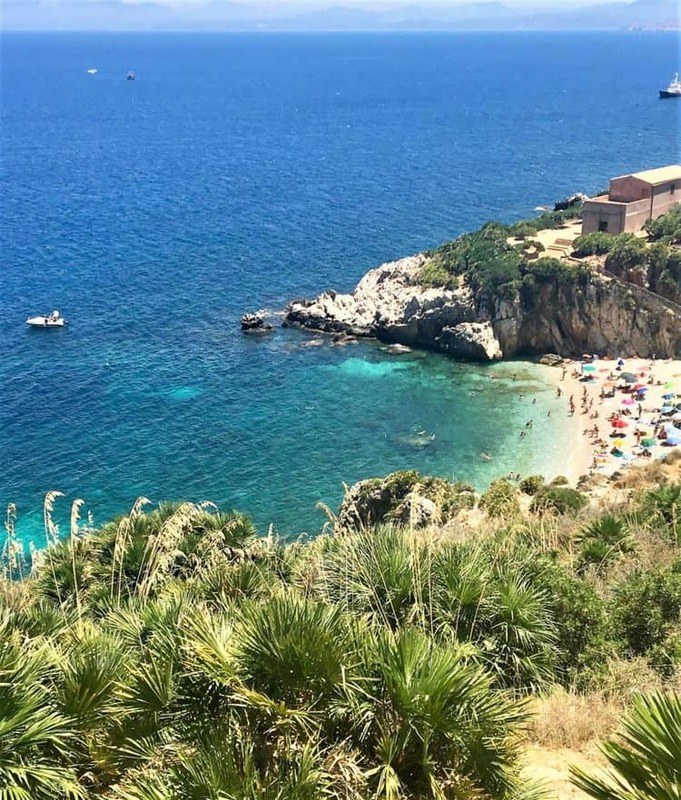 We limited ourselves to the province of Trapani, barely touched upon the province of Agrigento and then headed to the northern coast to the province of Messina where my family is from. The map below outlines the various provinces and I pointed out the areas we visited in the province of Trapani. I’ll add to it in my upcoming posts. Rather than write one long, never ending journal about my travels, I thought it would be best to publish a series of posts divided by province. Two years ago, on our first family vacation to Italy we quickly learned that hotel stays were not for us. Instead, we sought out apartment rentals which allowed us more room to spread out. Cramped hotel rooms are not ideal when traveling as a family of four with two teenagers! Equipped with a kitchen, we had the option to occasionally cook our own meals with ingredient from local markets. I’ll write about this in my future post about the province of Messina. 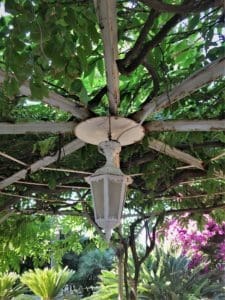 Another popular accommodation in Italy is the agriturismo, which is a wonderful choice if you’re looking for an authentic farm stay vacation. 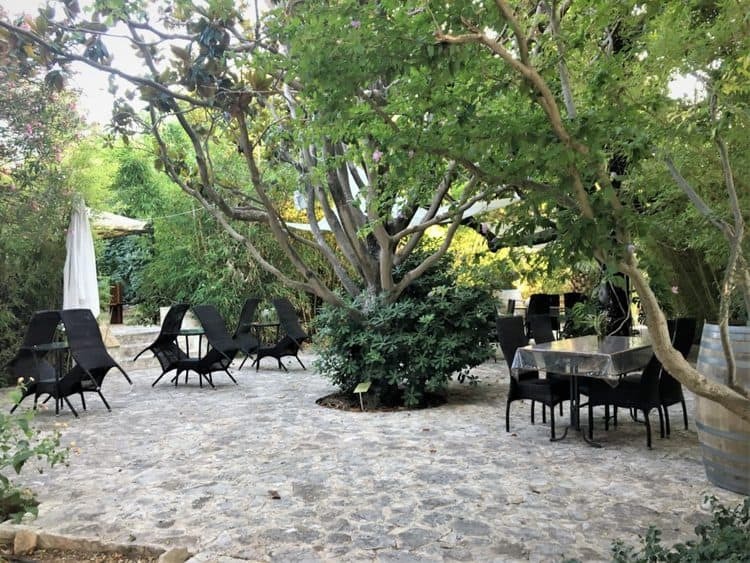 In my search for an ideal home base from which to visit the province of Trapani I discovered Azienda Agrituristica Tenuta Pizzolungo which is located about an hour away from the Palermo airport and only a few minutes from the center of Trapani and Erice. 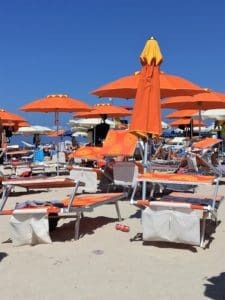 Pizzolungo was a haven to return to at the end of a busy day of sight seeing or beach. 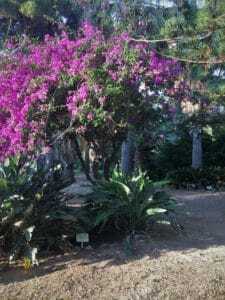 Surrounded by lush vegetation, this working farm houses animals such as chickens; turkeys; rabbits; geese and even peacocks as well as olive and orange orchards. The area is dotted with old rural buildings houses which have been transformed into comfortable guest rooms and apartments. We were warmly greeted by Marco who provided us with helpful information on the local sights; best beaches; places to eat and so on. Did I mention that breakfast is provided each morning? 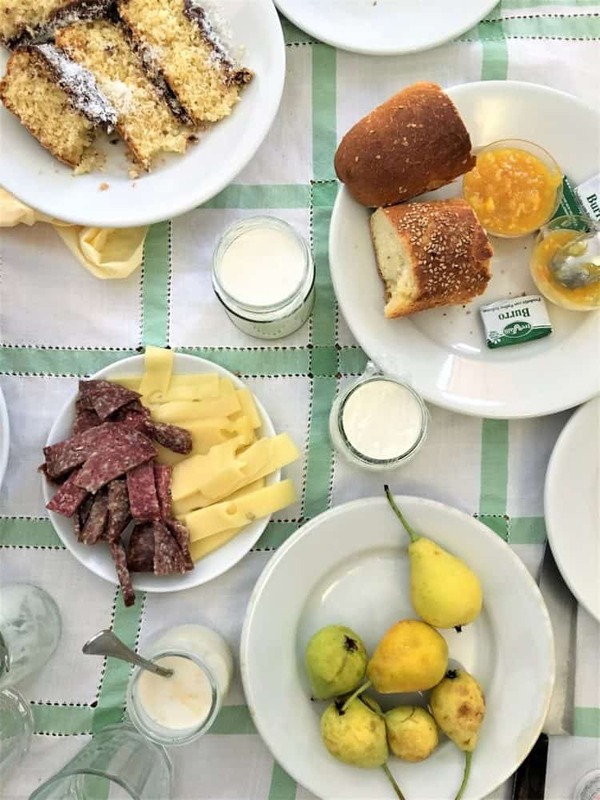 We overslept on our first morning there as we were still quite jetlagged and just as we were scrambling to get dressed and head out to the dining area for breakfast before it ended, Marco arrived at our doorstep with a tray full of breakfast goodies for us. We were off to a great start! On certain evenings, thematic dinners are also organized (not included) in their picturesque outdoor dining area. We were fortunate to be present on pizza night, where a local pizzaiolo was present to cook for us using their wood burning pizza oven. We spent this evening strolling throughout the town and waterfront, simply soaking up the atmosphere. 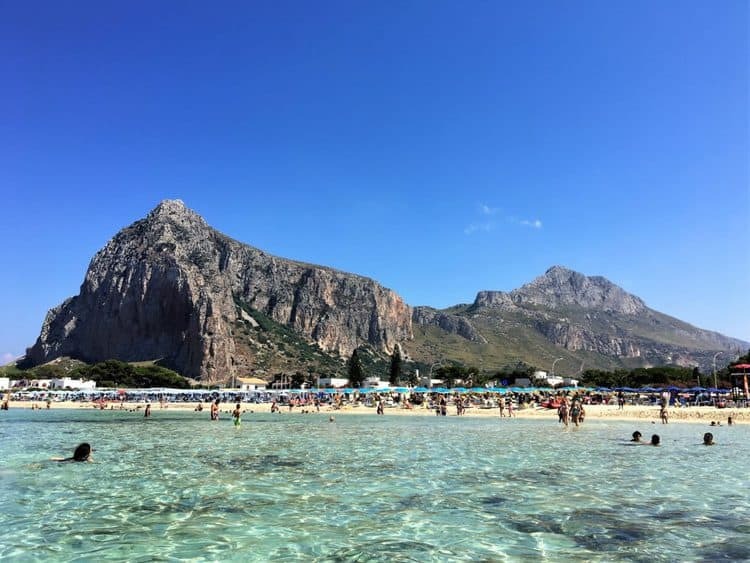 Seeking out the best beaches is always a priority when I am traveling and I had long heard of the Riserva Naturale Dello Zingaro. 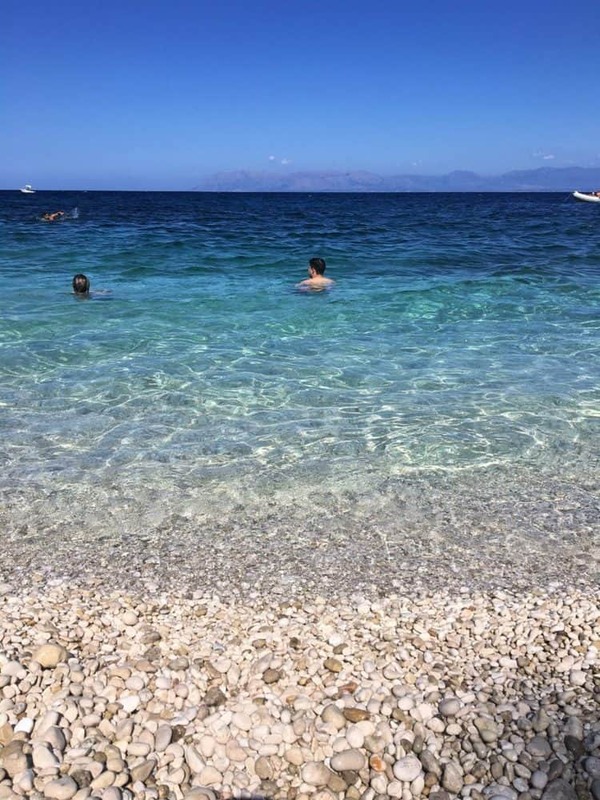 This seaside nature reserve stretches along seven kilometers of trails throughout the hills (at times quite steep) which lead you to several bays with spectacular pebble covered beaches and clear blue sea. I must warn you , the road to get there is slightly perilous for we North Americans used to wide, straight roads. The final stretch off the main highway involves twisting, mountainous roads with cliffs that drop straight down. Slowly but surely we made it there and it was worth the trip. There is a lot of walking on rocky, sandy paths, therefore good walking shoes are strongly recommended. A sunhat and sunscreen are a must. If you plan on spending time on the beach, an umbrella would be a good idea. We purchased one from the vendor right outside the entrance booth. Pack lots of water and a lunch. Once you enter the nature reserve, there is no location from which you will be able to purchase food and water. 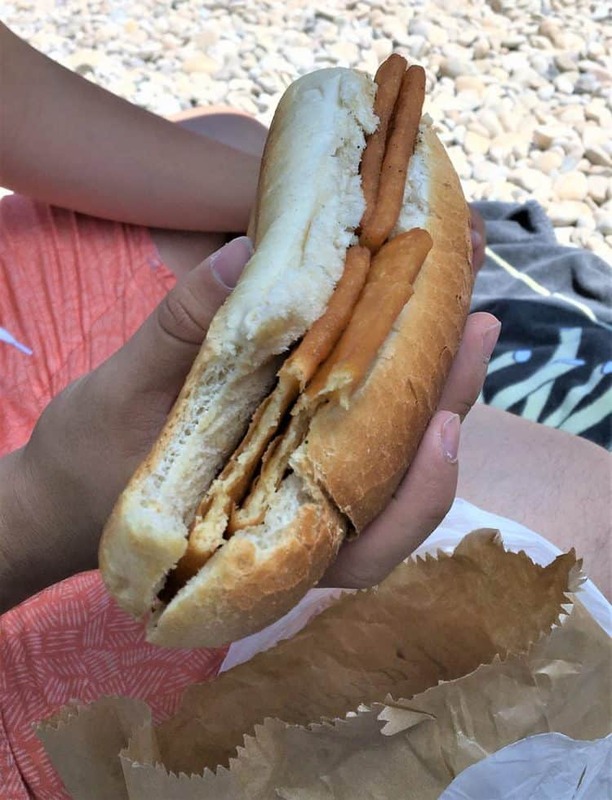 We were lucky to find a food truck parked right outside the main entrance where we picked up water and the best panelle sandwiches we’ve ever eaten (see below). But in case the food truck is not present when you go, pick up sandwiches and water at one of the many bars you will encounter along the way. Note: bars in Italy are not bars as we know them in North America. 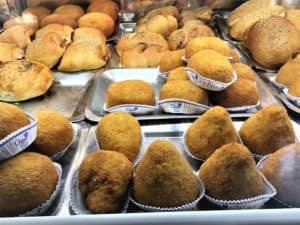 At a bar in Italy, you will find a variety of sandwiches, pizzas, dessert, gelato, drinks and always, the best espresso coffee! Getting back to the nature trail, we visited only the first two cale (or bays) since we got off to a rather late start that morning. Therefore we only trekked about two kilometres, which was plenty in the hot sun. But the payoff was spectacular! I would definitely recommend spending the entire day exploring the riserva. 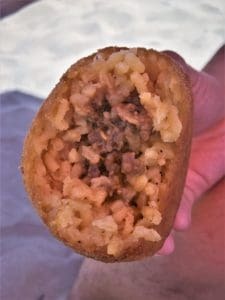 What could be better than eating our fantastic pane e panelle (chickpea fritter sandwiches) on the beach with this view. By the way, you can find my recipe for panelle here. The medieval hilltop town of Erice is located at the top of Mount Erice, overlooking the town of Trapani. It is accessible by car as well as by cable car. 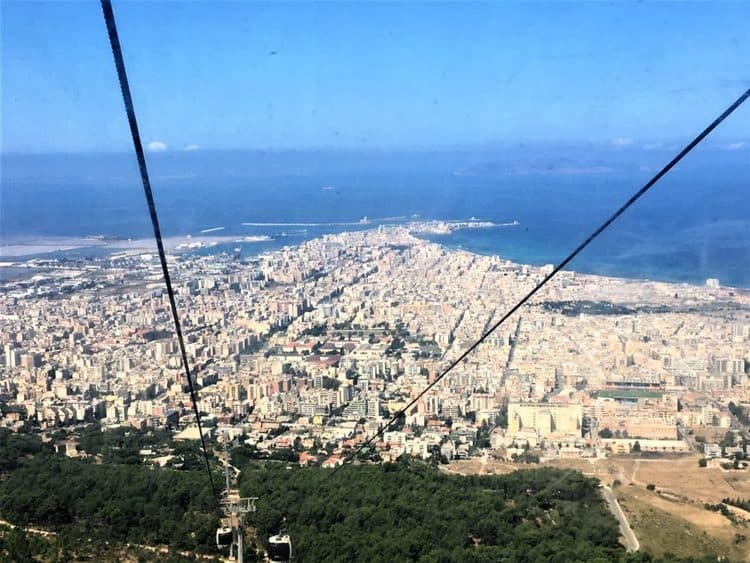 We chose to leave our car behind and avoid another twisting, winding drive to the top and instead chose the ten minute scenic cable car ride. Besides, once you get to the top Erice must be visited by foot. 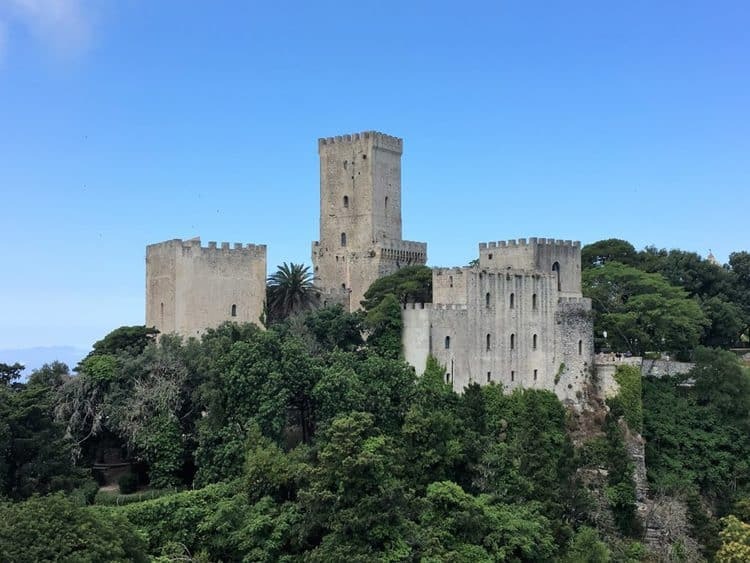 The main attraction in Erice is the twelfth century Castello di Venere, which you can visit for a small fee. 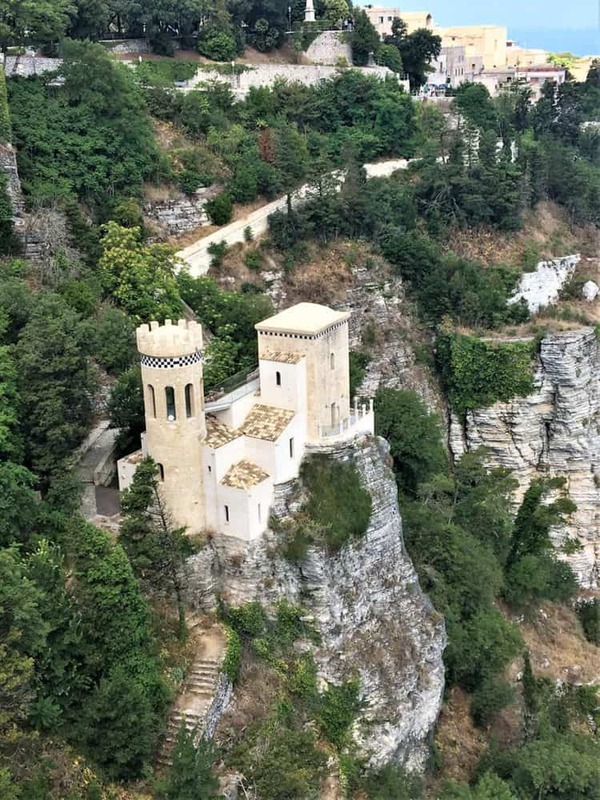 If you prefer, you can purchase a pass at the entrance of the town which includes admission to the castle as well as numerous churches and museums in Erice. 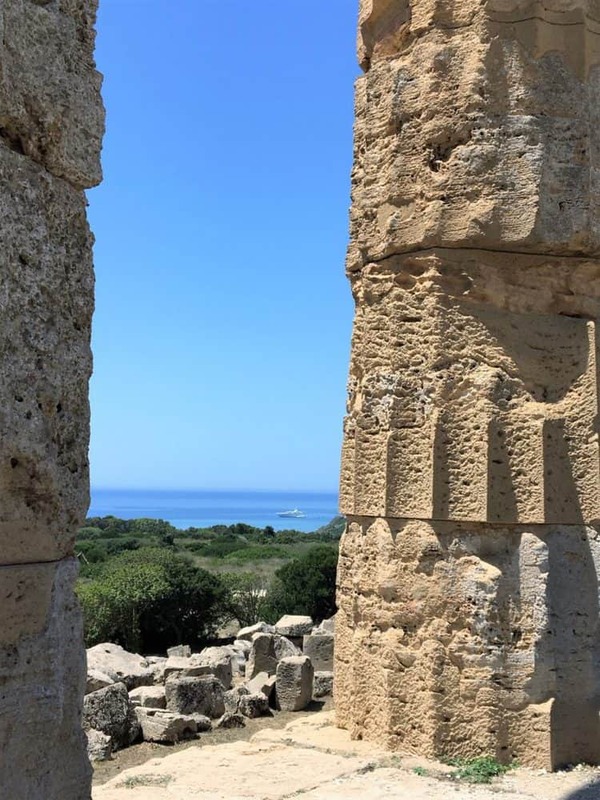 The views from the Castello di Venere are incredible on a clear day allowing you to see as far as Marsala to the west and San Vito Lo Capo to the north east. We spent the morning wandering through the narrow cobble stoned roads. 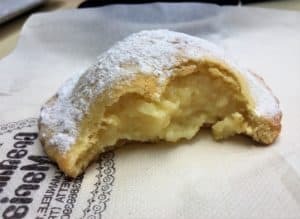 As recommended to me by my dear friend Liliana, my goal was to locate the world renowned Pasticceria Maria Grammatico famous for her almond cookies and pastries. 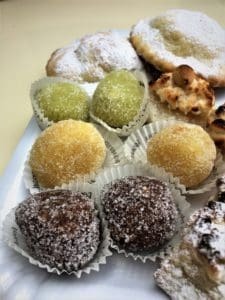 We sampled a number of goodies but my favourite was the genovese cookie (centre photo), a crispy cookie-like shell filled with a lemon scented custard. We sat on the small terrace at the rear of the pasticceria to enjoy this well deserved morning coffee break! s Cantine Florio, makers of Marsala wine. We took a guided cellar tour complete with historical facts on the origins of this winery. 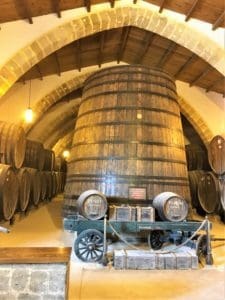 We viewed immense cellar barrels used to age the Marsala and ended our visit in their tasting room where we sampled four wines with food pairings. Our children sampled the food with a glass of water! 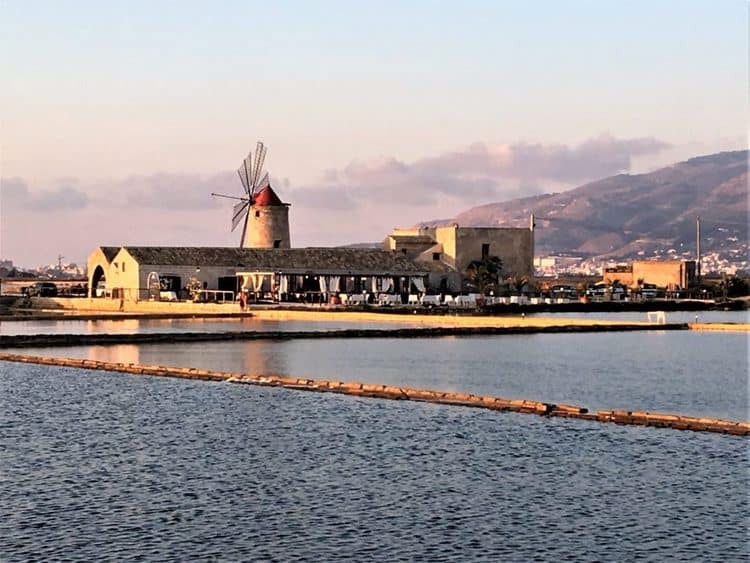 Unfortunately, time always escapes us when we’re on holiday so rather than spend more time in Marsala we headed toward the salt pans along the coastline between Marsala and Trapani. 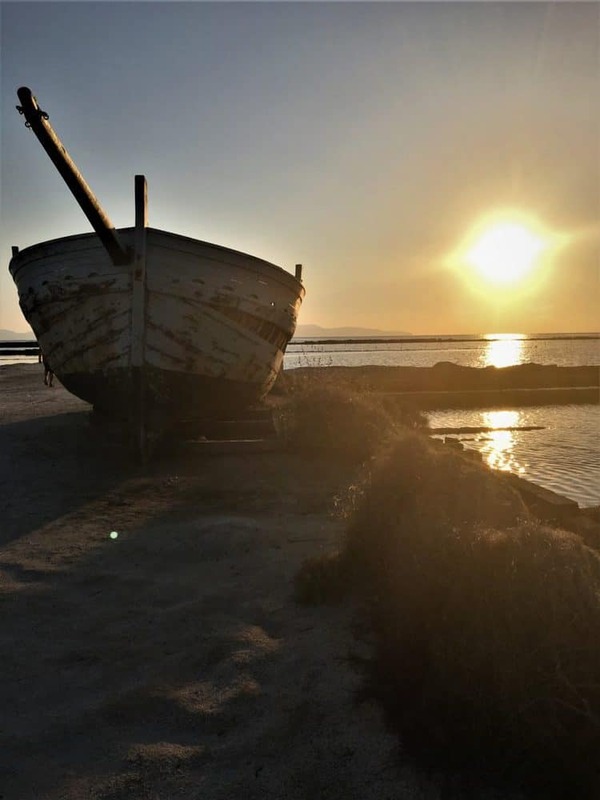 Leaving Marsala and heading back toward Trapani we decided to travel along the salt route: a twenty-nine kilometre stretch betwen Marsala and Trapani along the sea with several salt pans. 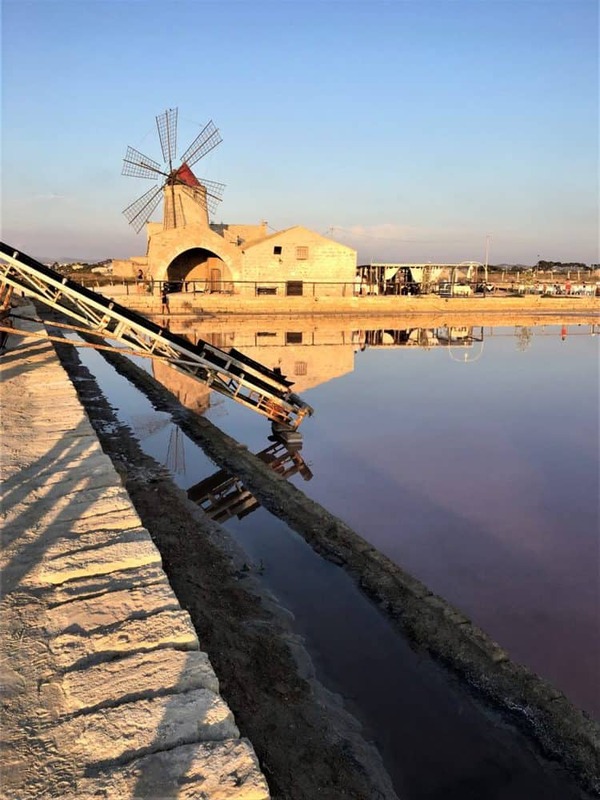 We stopped at the Saline Culcasi salt pans located in Nubia, just a few kilometres from Trapani. I had always been curious about how sea salt was produced and why specifically from this part of Sicily. 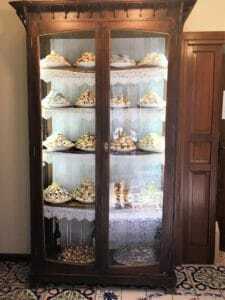 Saline Culcasi has been opereated by the Culcasi family for the past one hundred years. Here you’ll find a salt museum where at a minimal cost you can take a guided tour. We learned about the condidions that make this area perfect for salt production. The expert guide, whom we learned at the end of the tour is the grandaughter of the owner, outlined the various stages in the process of salt production. She also explained the fundamental role that salt had for the preservation of food for people around the Mediterranean. After the tour, we strolled on the paths along the salt pans. This visit was hands down one of my favourite stops in our entire trip with regards to the educational component, the beauty of the location and of course, the dinner that we enjoyed that night as the sun set in this spectacular location. We ended the day seated on this outdoor terrace at the Trattoria Del Sale with a breathtaking view of the salt pans. 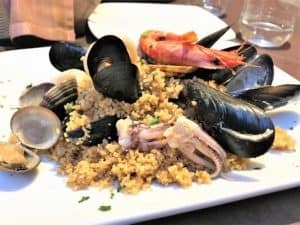 One of the dishes we sampled was this busiate with seafood. In the province of Trapani, busiate is this corkscrew shaped pasta that you will find in all restaurants. This pasta is typically served with pesto Trapanese, which is a pesto made with tomatoes; almonds; and basil, or with seafood, as shown. But I was not ready to give up yet. I needed to see what all the fuss was about. So we rented an umbrella and two lounge chairs for the day for 15 euros and they were nice enough to allow us to plant our own umbrella so we could have more shade. By the way, this was also the first sandy beach I had ever seen in Sicily. My kids were quite happy about that. And then I saw the water…..
lunch we headed right across the street to a restaurant where we purchased the best arancini wiht ragu we had ever tasted in Sicily. We took them back to our umbrella and devoured them only to head back across the street for more. They were only 1.50 euros each! Unfortunately I only got this lousy photo of one, but I just had to show it to you anyway. Needless to say this was a day well spent, despite the crazy crowded beach. When I told my cousin about it a week later, he replied that this was nothing. Apparently, in August during their busy season people are packed in right up to the sea wall. Note to self, do not go in August! The following morning, we left Pizzolungo and headed south toward our next pit stop in the province of Agrigento. But first we visited Selinunte Archeological Park. This is the largest archeological sight in Europe, I was told. But I think it’s because the monuments are spread out across a huge area. First, we took care of important business, that is what were we going to have for lunch that day! We spotted a bar along the route and stopped to purchase panini and arancini. Each time we stopped at a place like this I had to refrain from asking for one of each! I mean, just look at all this. How can one resist? Okay, I’ll get back to the archeological park now. Definitely take a guided tour, otherwise you’ll leave there saying that you just saw a large pile of rocks. Another plus is that you get to ride on the small train to get to each monument. Did I mention that they are quite far apart? Once again, pack plenty of water and lunch if you plan on spending a few hours there. Don’t forget the sunhats and sunscreen as well. Our tour guide was quite knowledgable and we were able to appreciate the history behind these spectacular ruins. 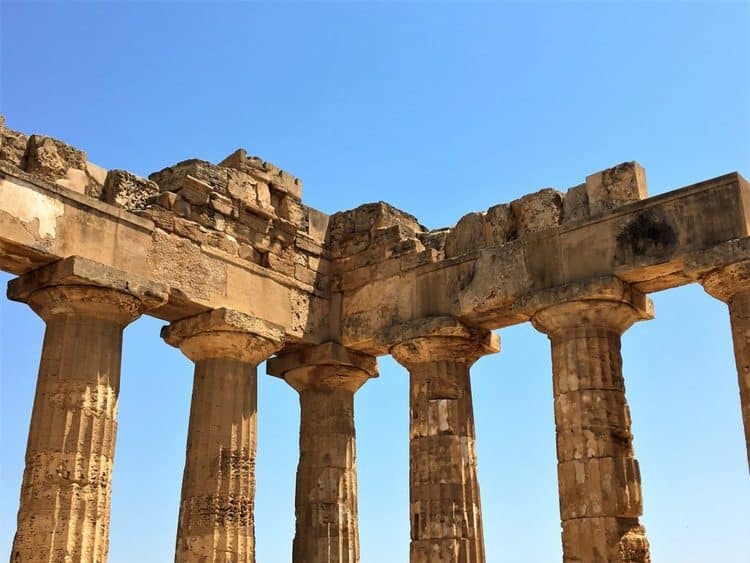 It was fascinating to learn about how countless civilizations have come and gone across Sicily, leaving their mark on the island. This brings us to the end of our stay in the province of Trapani. Four full day of sightseeing and yet there is so much more we could have seen in this area so that means we need to plan another trip! 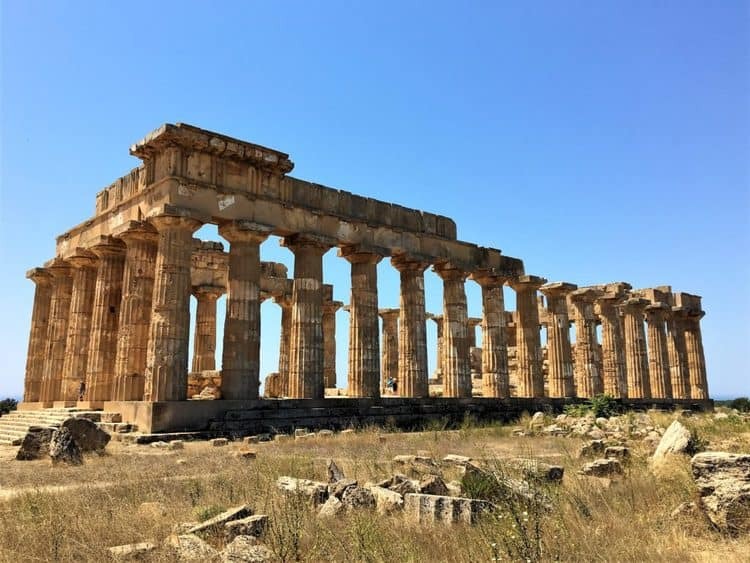 Stay tuned for my next post as we head toward the province of Agrigento. If you have any specific questions regarding any of the places we visited, do not hesitate to contact me. All comments and/or questions are welcome. Ciao! Why is it Sicilia bedda in Sicilian but Bella Italia in Italian the other way round for Bedda/Bella Thank you. Hi Dino, Bedda is the Sicilian word for bella. We use the word as a term of endearment. Thanks for stopping by!